Have you checked out our Instagram lately? 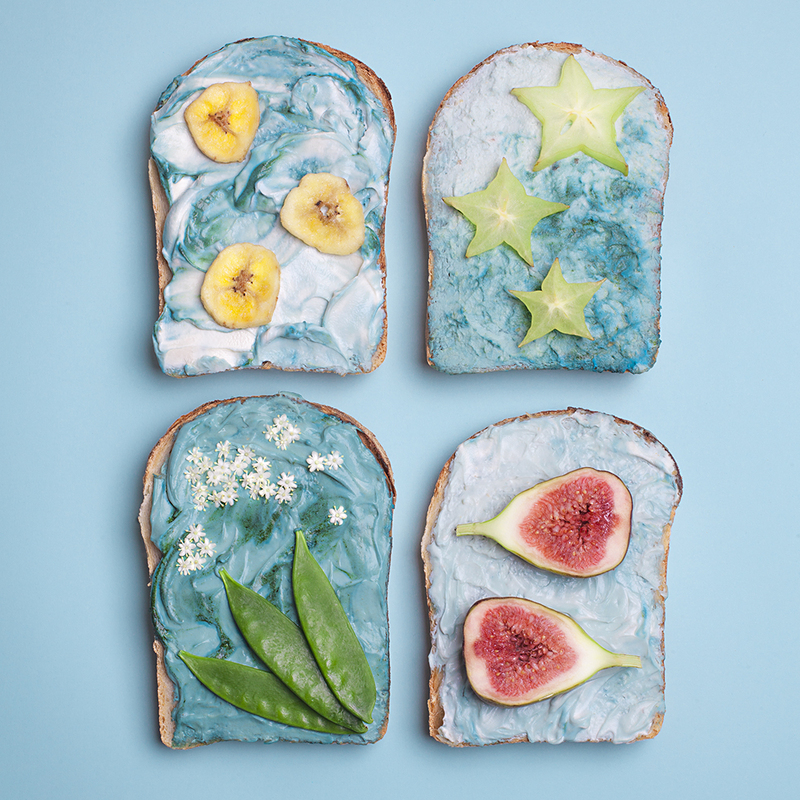 If you haven’t, chances are you have missed out on this mermaid toast with Sundried Spirulina! And since no one surely would like to miss out on content like this – make sure you start following us right away! You’ll find our Instagram here. 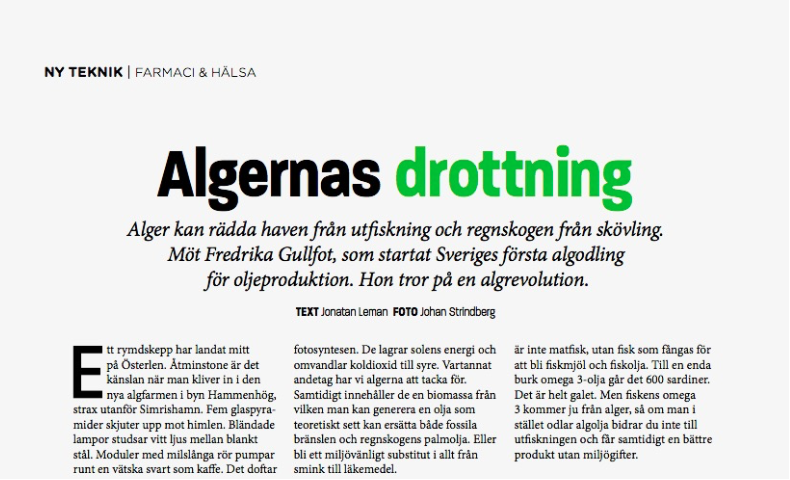 In the latest issue of Unionen’s trade magazine Farmaci & Hälsa there is a big interview with Simris Alg CEO Fredrika Gullfot. Read all about the idea that later would become Simris Alg, the business climate in Österlen and how you turn algae into Omega-3 oil. Download the issue in PDF-format here (in Swedish). 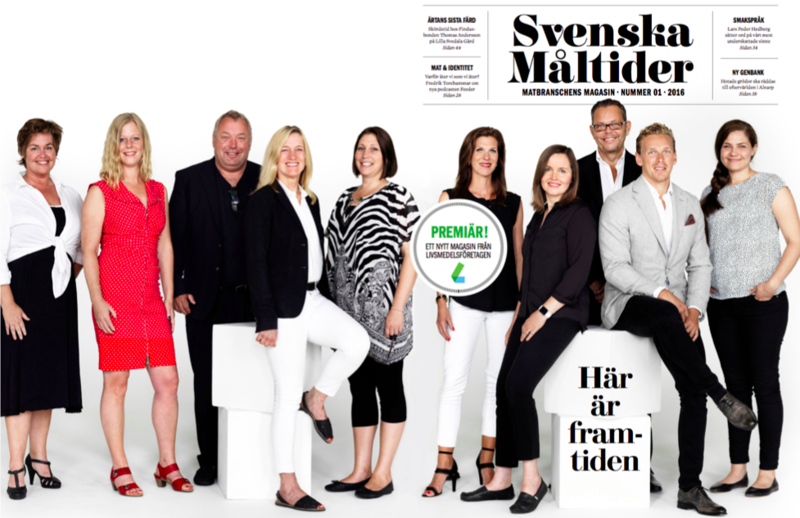 Read all about Simris Alg in the trade association Livsmedelsföretagen’s brand new magazine Svenska Måltider. 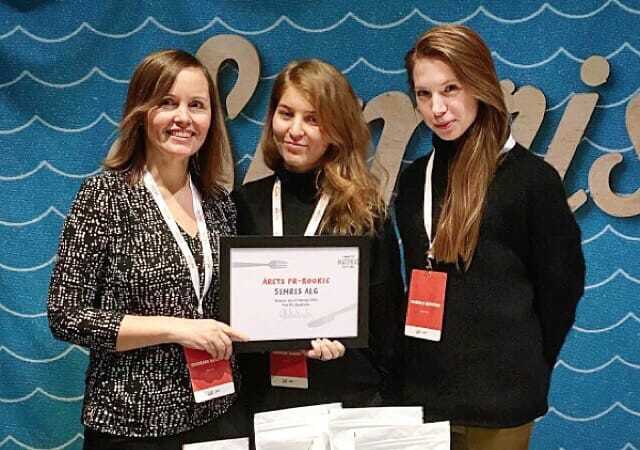 On the topic of the future of foods, CEO Fredrika Gullfot talks about the potential she sees in algae and how she developed the idea of farming them. Click here to read the web version of the article (in Swedish). 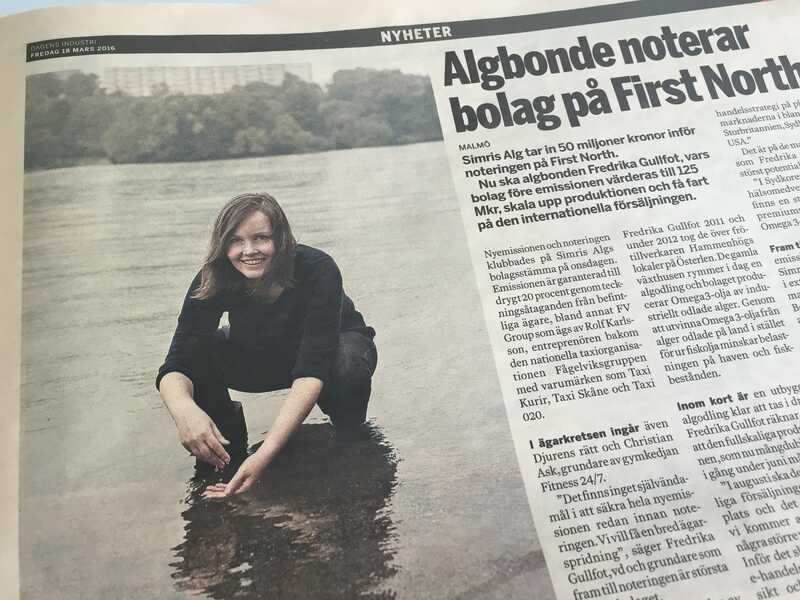 Today’s issue of Dagens Industri writes about Simris Alg and interviews our CEO Fredrika Gullfot. In the informative feature, the company’s upcoming listing on First North is being discussed, as well as the expansion of the algae farm in Hammenhög. An online version is available here (in Swedish). Simris Alg can now be followed on Instagram, under the handle @simrisalg. 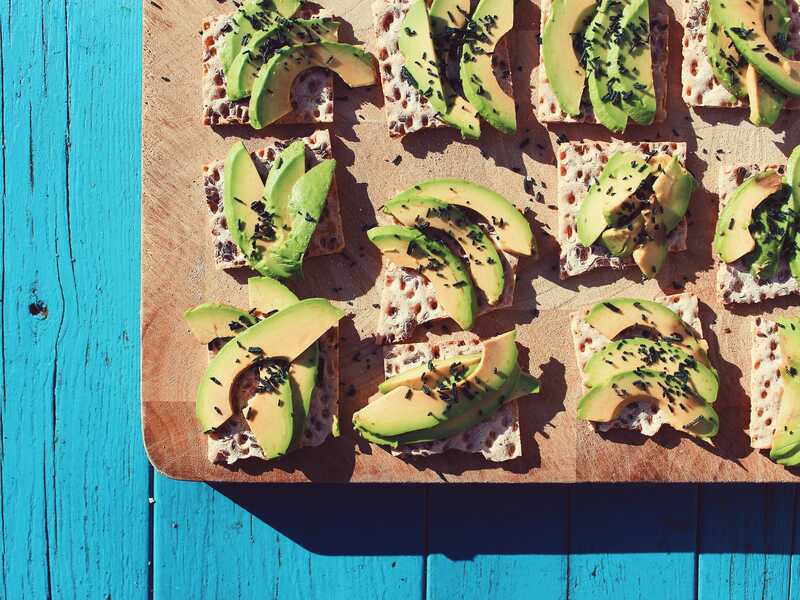 The page promises beautiful algae eye-candy, food inspiration and event updates! 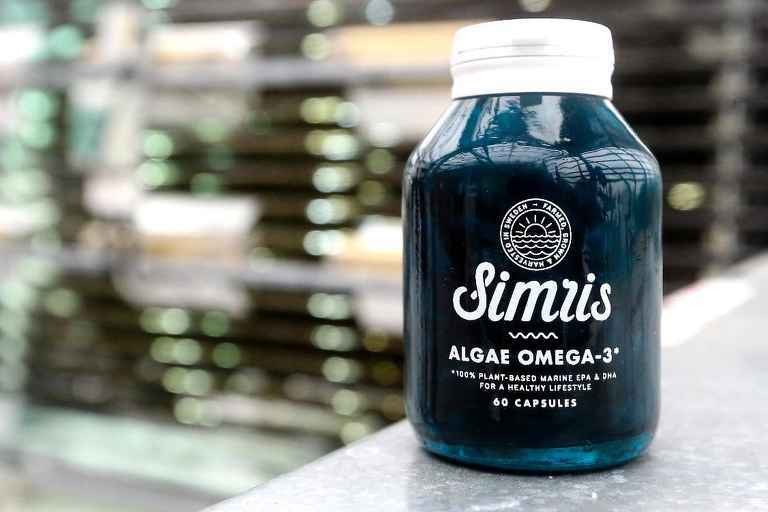 To spread the #algaelove, tag your photos with #simris. Happy Instagramming! 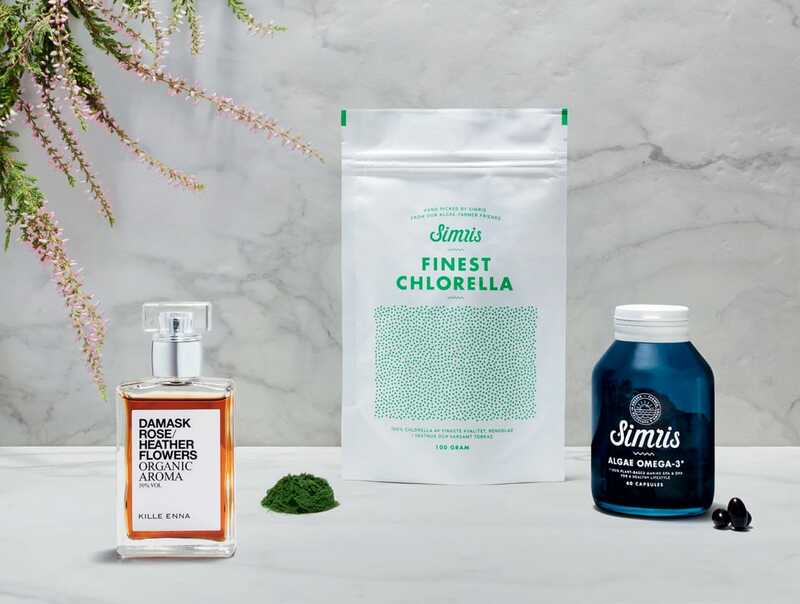 Globally renowned design guru Wallpaper* magazine introduces Simris Algae Omega-3 and Finest Chlorella in December’s lifestyle section, as examples of Scandinavian aesthetic and pioneering within food products. What an honour! Tech.eu writes about the ten hottest agritech companies in Europe. Of course Simris Alg is one of them!